The Easter holiday heralds the start of the Take A Friend Fishing (TAFF) campaign for 2018. It's designed to make it easy for everyone to enjoy fishing with family members and friends who have not fished before, free of charge. TAFF is run by the Angling Trades Association in partnership with the Environment Agency and is supported by Angling Trust fisheries, clubs and coaches and individual fishery venues. Through participating newspapers, magazines and websites, existing anglers can obtain a free one-day fishing licence (each worth £6) to enable them to take their mates or family members fishing between Saturday 31st March to midnight Sunday 15th April 2018. In addition to a FREE fishing licence, participants can also fish without charge at a variety of individual venues. Details of the fisheries that are taking part in this TAFF promotion can be found at www.takeafriendfishing.co.uk. Some exclusions may apply to each venue, so please check carefully. Everyone who has registered a TAFF voucher online will be entered automatically into a fabulous competition to win a day's free coaching for two with Professional Anglers Association member and Level 2 qualified and Angling Trust licenced coach, Mike Salisbury. The coaching day will be arranged at a choice of one of the TAFF participating fisheries, with peg fees and bait supplied. People who 'Like' and 'Share' the Easter promotion from the TAFF Facebook page could also win a bait package worth £30 from TAFF supporters Bait Tech or a terminal tackle package from TAFF supporters Middy and Kodex. It's really easy to Take A Friend Fishing - cut out or print off the fishing licence voucher, fill in all the contact details, validate it online at www.takeafriendfishing.co.uk, read the Terms and Conditions, grab your fishing tackle and the voucher… AND TAKE A FRIEND FISHING! The free fishing licence voucher cannot be used to fish for salmon, sea trout or coarse fish on rivers, streams or drains in England between 15th March and 15th June inclusive, when there is a 'no-fishing' close season to allow fish to breed. The close season may apply to some canals and still waters in your area, too - please check before you set out. Many new anglers catch the fishing bug after just one session. It's simple to get a fishing licence - just visit www.gov.uk/fishing-licences/buy-a-fishing-licence and buy a fishing licence for a whole year. Juniors aged 13-16 can get an annual licence free! A great place to find out more information on your local venues is www.fishinginfo.co.uk. The Hunt Saboteurs Association this week launched a misguided attempt to disrupt the Angling Trust’s Cormorant Watch website by encouraging its supporters to record bogus sightings of cormorants, goosanders and mergansers. When the site was set up to campaign for greater controls of these fish-eating birds, which are now present in the UK in unsustainable numbers, the Angling Trust established a quality assurance protocol to avoid vexatious action such as this. The Angling Trust, which is the representative body for all anglers in England and Wales, calls on Hunt Saboteurs to stop wasting their time by recording false sightings because they will not be included in the final figures. The Trust urged them to understand the damage these birds are doing to fish populations and freshwater ecosystems. Cormorants were very rarely seen inland before the 1980s, but their numbers have increased enormously since and they are now a significant factor in the decline of many fish populations in the context of widespread pollution, over-abstraction of water and habitat damage. Goosanders and mergansers are a particular problem on salmon rivers, nearly all of which are classified as being at risk of failing to meet their conservation targets due to declining stocks. Research from the Atlantic Salmon Trust has shown that 40-50% of young salmon die on their journey down rivers, with predation the most likely cause. On the Hampshire Avon, a river once famous for its specimen roach stocks, the species was almost wiped out in the middle reaches of the river as cormorant numbers exploded in the 1990s. The Angling Trust is encouraging anglers to continue submitting sightings to the database up to the 31st March when the survey is due to end so that it can build a picture of the distribution of the birds to support better management of predation at a national level. The Angling Trust will be backing up this information by contacting more than 2,000 angling clubs and fisheries it has in membership and asking them to contribute to a survey about fish-eating birds to provide more evidence to Ministers and statutory agencies to press them to take action. Mark Lloyd, Chief Executive of the Angling Trust & Fish Legal said: 'It is disappointing that these animal rights extremists have chosen to target angling with their hateful action. Online comments on forums associated with this movement have even called for anglers to be shot, which is appalling. The British Record (rod-caught) Fish Committee met at The Natural History Museum, London, on 28th November, 2017. Present were: Mike Heylin OBE (Chairman), Nick Simmonds (Secretary), Oliver Crimmen (Scientific Advisor, Natural History Museum), Andrew Nellist (Freshwater Specialist), Paul Coulson (Freshwater Specialist), Nigel Hewlett (Scientific Advisor, Environment Agency) and Chris Clark (Marine Specialist). The Committee inspected Nigel Ludbrook’s claim for the carp record with his capture of the fish known as “Captain Jack” from Holme Fen Fishery at a claimed weight of 68lb 8oz. The claim could not be considered because the original scales tests performed by Norfolk Calibration Services, using weights traceable to National Standards, consistently indicated that the scale used to weigh the fish was overstating the weight by at least eight ounces. This means that the maximum weight which the committee could accept for this fish was below the current record of 68lb 1oz. Chris Davey – Garfish (Belone belone), Shore-caught, Slapton Sands, Devon, on 22nd April, 2017. Chris’s fish was ratified at a weight of 3lb 9oz 8dr, overtaking Mr Williams’ 22 year-old record of 3lb 4oz 12dr and equalling the current boat-caught record. Robert Wheaton – Gilthead Bream (Sparus auratus), Shore-caught, Kingsbridge Estuary, Devon, on 5th October, 2017. Rob’s fabulous fish was ratified at a weight of 12lb 2oz, beating Ryan Carter’s 2015 fish of 10lb 7oz. Tim Cotterill – Thin-lipped Grey Mullet (Liza ramada), Shore-caught, east coast of Guernsey, on 1st September, 2017. The weight of Tim’s fish was ratified at 8lb 1oz 7dr, surpassing Mr Mabelson’s 7lb fish from Oulton Broad in 1991. Geoff LePage – Thin-lipped Grey Mullet (Liza ramada), Shore-caught, Havelet Bay, St Peter Port, Guernsey, on 4th September, 2017. Tim’s record was short-lived as the next claim to be ratified was Geoff's Thin-lipped Grey Mullet of 8lb 3oz 8dr, caught just three days later. The committee also considered a submission by Ben Taylor for his shore-caught Gilthead bream, caught from the shore in south Cornwall on 28th August, 2017 and claimed at 10lb 11oz. Further clarification is needed from the captor as to the exact weight claimed before the committee can ratify this capture as an interim record. A Connemara Clingfish (Lepadogaster candollei) claimed by Tim Poat at 15.3 grams. A Cornish Sucker (Lepadogaster lepadogaster) claimed by George Stavrakopoulos at 3.9 grams. Paul Aldridge’s Dover Sole (Solea solea) claimed at 4lb 8oz. Chris Buxton’s shore-caught Tope (Galeorhinus galeus), claimed at 72lb 4oz. These claims will be considered for ratification in due course if completed claims are presented. formulate rigid criteria as each claim has differing elements which must be considered. The committee concluded that it should continue to consider every record claim on its own merits. The weight of the fish when stocked into the water from which it was caught. The length of time the fish has been in the water of capture since stocking. The origin of the fish and its history prior to stocking. Whether the fish reached the weight claimed feeding on natural food and anglers’ baits only, without supplementary feeding or other treatments. Evidence of the growth rate of the fish. Consideration of whether the fish would be able to naturally sustain its weight in the fishery concerned. The BRFC does not wish to encourage any attempts to introduce record-size fish via imports, or attempts to manipulate records by producing record-size fish through the use of deliberate fishery management practices. The committee has faced import and aquaculture issues in the past and ceased records for Wels catfish and for cultivated game fish as a result. The committee discussed the possibility of reinstating the record listing for Wels catfish, which was suspended in 2007. The catfish record listing was closed to future claims because, at the time, large catfish were being imported illegally from Europe with the deliberate intention of increasing the record weight. This undermined the legitimacy of the record and was providing a key pressure for the illegal importation of Wels catfish. Communications with Cefas and the Environment Agency suggest that the suspension of the record may be contributing to a reduction in import activity. The Wels catfish record listing will therefore remain closed. Nick will record the details of the capture and advise the claimant on progressing the claim. More information about what to do if you catch a record fish can be found on the BRFC web pages. The Angling Trust’s successful and popular Take 5 litter campaign is being relaunched to cover both freshwater and marine environments. Now in partnership with the Environment Agency, the campaign is targeting coarse, game and sea anglers with the same message – take 5 items of litter or five minutes to remove any litter after fishing. Litter from all sources adversely affects wildlife as well as introducing toxic pollutants to the environment which can damage habitats and species. In addition, litter is also an eyesore which detracts from the pleasure people take from being outside – adversely impacting on tourism in rural and coastal communities. Plastic litter is a growing problem in our waterways and in the marine environment where it breaks down into microplastics which are eaten by fish and enter the human food chain. The relaunch of Take 5 coincides with the Great River Rescue, England’s first national clean-up focused on rivers. The campaign has been organised by environmental charity Thames21, the Marine Conservation Society, the Angling Trust and the Canal and River Trust, and clean-up events have been taking place throughout October. The Take 5 campaign was started in 2008 by the Angling Trust’s Wyvern Marine region and launched nationally by the Angling Trust in 2012. Most responsible anglers already take their own litter home, this is about going further and encouraging them, as custodians of our aquatic environments, to help remove non-angling related litter as well in order to help maintain the beauty and health of the countryside and coast for all. Seen a Cormorant or Goosander? Please let us know! At the Angling Trust we recognise the enormous damage that cormorants and goosanders can do to fish stocks in both rivers and still waters. We want to do more to enable fishery managers to be allowed to control these highly destructive birds. We’ve written to the Fisheries Minister, George Eustice, demanding a doubling of the number of cormorants licensed to be shot in England annually to 6,000 and for the removal of requirements for evidence that goosanders are damaging fisheries before a licence will be issued. We’ve relaunched the Cormorant Watch website for you to log sightings of cormorants and goosanders. 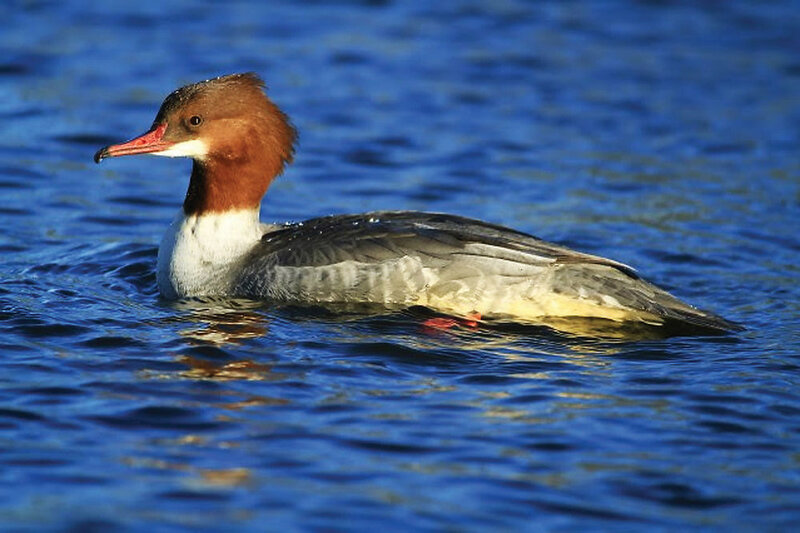 The data provided will help us push for more effective control of these birds in England, Wales and Scotland, where goosanders in particular predate heavily on declining salmon stocks. Log your sightings on Cormorant Watch HERE. The Angling Trust continues to believe that the best outcome would be for cormorants to be included on the general licence as long as the conservation status of the birds is not threatened. However, we have not been able to persuade ministers to adopt this approach which is why we are pressing for the best possible outcomes within the licensing framework. We believe fishery managers should have the right to protect fish stocks from these highly damaging birds and the current system is woefully inadequate. Please log your sightings and help us change it! For more information on the cormorant situation read this. PS. Please forward this article to another angler! Link at the top of the page. Bait-Tech is looking to add high calibre anglers to their Carp Team. Following the hugely successful launch of our unique Poloni Boilie range we are looking to expand not only our team but also our product range as a result. You could be part of it. If you have a genuine passion for carp fishing then we want to hear from you! We want to hear from experienced carp anglers, age isn't a barrier. What is essential is that you fish regularly and are able to give detailed and valuable input into our product range as well as getting the opportunity to test new baits. Anglers who conduct themselves in a professional capacity at all times both on the bank and off. Keen angling writers to submit reports and tips for use across our Social Media platforms. Anglers with a proven track record of putting fish on the bank. Anglers that can take a good photo.. essential. Anglers who don’t fish regularly. Anglers who devalue the brand with an unsavoury social media presence. Anglers who do not understand fish care. 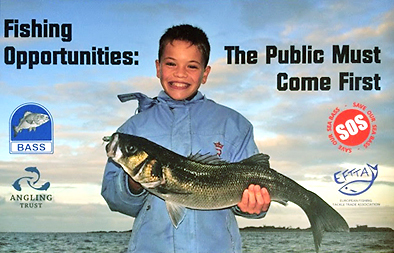 Anglers who fish no-publicity syndicates or clubs. Name, Address, Contact Details and D.O.B. How long you have been fishing. How many times a week you fish. PB’s both UK and Abroad (Where applicable). provide a photo it is desirable. If you could choose one moment in your angling career what would be the most memorable? What are your future angling aspirations? What do you feel you could bring to our team given the opportunity? Provide TWO catch photos & a rig photo. The deadline for applications is 5th June 2016, so don't miss your chance to join one of the UK's leading bait suppliers. If your application is successful we will contact you directly. The Angling Trust issued a formal complaint in September to Natural England for its failure to issue renewal licences for the control of cormorants and goosanders by the 1st of September, as required by its own standards of service. Natural England has apologised to the Trust and promised to issue all outstanding licences by the end of October, now that it has hired more staff to do so. The Angling Trust received a large number of complaints from its members about the delays. Many members contacted the Licensing Unit in Bristol and reported receiving a variety of excuses for the delay from ‘under staffed’ to ‘licensing of great crested newts is taking priority’, although Natural England deny that newt licences were involved. At one point, the problem became so acute that staff were apparently refusing to take calls on the subject. The delays prevented many fishery managers from controlling cormorants and goosanders taking fish during low water levels in a dry September, which impacted on the capital and amenity value of many fisheries. The Angling Trust's Chief Executive and Head of Freshwater have a meeting scheduled with Natural England Chairman Andrew Sells in November and will press him to ensure that the organisation improves its performance. Mark Lloyd, Chief Executive of the Angling Trust, said: 'The Angling Trust welcomed the new arrangements announced by the government for tackling cormorant and goosander predation through area based licences and the support for our new Fishery Management Advisors to help fisheries implement a range of measures to deter and control predators. However, these completely unacceptable delays by Natural England with the licensing process have been a backwards step and have undermined the new system we worked so hard to put in place. The Angling Trust has launched a major national survey on angling participation and wants anyone who has ever been angling - whether they have dabbled just once or twice, haven't done it for some time, or are a keen current angler that fishes regularly, to take part and be entered into a prize draw to win £900 worth of tackle. The research aims to discover who goes fishing and why, what might encourage them to go more often or try it again, and what deters them from angling now. The results will be used to help address the decline in angling numbers and get more people fishing more often. So please play your part in rebuilding angling's future and take the survey. As a thank you for contributing to the research, we are offering all participants the chance to be entered into a prize draw for fantastic prizes of tackle vouchers from Glasgow Angling Centre - 1st prize £500, 2nd prize £300 and 3rd prize £100. My mates at Gardner Tackle have reminded me that they have a rather nifty booklet around at the moment. On the one hand it’s definitely a promo for all their great tackle items in the Covert and terminal ranges, but it’s also a superb directory of some of the top rigs being used at the moment. You’re shown how to construct the rigs with a simple step-by-step format, given an explanation on why they work and offered advice on when best to use them. With information on hooks, hooklinks, lead arrangements, main lines and leaders, the booklet finishes with some good tips for PVA, casting accuracy, and fish welfare. Here's the latest from the Angling Trust on new rules regarding bass size limits. Since it began on 19th July, National Fishing Month (NFM) 2015 has proved to be a major attraction at events throughout the country. It was launched at ‘Parklife’ in Milton Country Park, Cambridge, on a gloriously sunny day where nearly 90 people tried angling for the first time - even Counsellor Sue Humphries had a go. The event was staged in partnership with Cambridge Sports Lakes Trust, and it allowed visitors to explore a variety of ways to improve their health and wellbeing, as well as trying a range of sports (including fishing) to inspire them to become more active. The highlight of second weekend of NFM was the inaugural ‘Carp in the Park’ event, held at Billing Aquadrome, Northampton and very well organised by David Hall Publishing Ltd. The venue proved to be superb and, despite the inclement weather, nearly 100 people were coached in angling over the two days. Many of them had come camping for the weekend and did not expect the wonderful bonus of being offered free fishing lessons by trained, nationally-accredited angling coaches. The traditional NFM showcase event took place at the CLA Game Fair, held this year at Harewood House, Yorkshire. Over 200 lakeside coarse coaching sessions were delivered by members of the Professional Anglers Association (PAA), and their pupils had fabulous fun catching carp to more than 18lbs! On the Angling Trust stand, junior fly coaching run by the Game Angling Instructors’ Association (GAIA) was equally popular. The National Fishing Month coaching area was visited by a number of dignitaries and celebrities including Rory Stewart, Parliamentary Under Secretary of State for DEFRA, who thanked everyone for their hard work in raising the awareness of the health and social inclusion benefits of angling. Thanks to the headline sponsorship support from tackle manufacturers Daiwa, Pure Fishing and Leeda – all members of NFM organisers the Angling Trades Association – National Fishing Month continues to be an overwhelming success. Along with the support received from the Environment Agency, the Angling Trust, Angling Cymru, the PAA and GAIA, NFM 2015 is maintaining its enviable position as a leading participation initiative attracting thousands of new people to the sport of angling. My chums at Bait-Tech reminded me that this event is happening this weekend... could be worth popping along? The BRFC met at Fishmongers’ Hall, London, on 8th June 2015. Present were: Mike Heylin OBE (Chairman), Nick Simmonds (Secretary), Oliver Crimmen (Scientific Advisor, Natural History Museum), Nigel Hewlett (Scientific Advisor, Environment Agency) and Andrew Nellist (Angling Trust - freshwater specialist). The members of the Committee expressed regret at the untimely loss of Keith Speer, who died unexpectedly in February this year. Keith had been a member of the BRFC since 2012 and had made a significant and valued contribution to the affairs of the Committee during his tenure. Keith's presence, with his great good humour and well-considered judgement is much missed. The Committee would like to make it clear that the BRFC does not undertake scales checks. We may be able to assist in facilitating scales tests from time to time. The BRFC does not make any charge for facilitating scales checks. Any charge payable is that levied by the testing authority. The Committee considered the question of records being held jointly by more than one angler. The Committee is happy to consider claims for the capture of a fish at an equal weight to the current record for the species and, in instances when the claim is ratified, to award an equal record certificate to the captor. The Committee has recently had a situation where three anglers made claims for record captures of the same species within a few days of each other. In cases where multiple claims are made, claims will be dealt with in the order in which the claims are lodged with BRFC. The Committee would also like to remind readers that in the event of the capture of a potential record fish, the captor should first contact the British Record (rod-caught) Fish Committee without delay. Nick will record the details of the capture and advise the claimant on progressing the claim. With the outcome of the General Election on a knife edge and polling just a few days away, the Angling Trust has completed a review of what the main political parties are offering to do for fish and fishing. A trawl through the manifestos of the Conservative, Labour, LibDem, UKIP and Green parties has revealed strengths and weaknesses in them all. However, Labour's own environmental policy is one of the weaker on offer and their own manifesto makes almost no reference to fish or fishing. The Conservatives have been keen to point out their record in government with new controls on cormorants and support for angling projects. They did agree, following a meeting between the Trust and the Prime Minister, to include a promise to deliver a sustainable bass fishery. The Tories are also committed to concluding important projects like the Thames Tideway Tunnel to improve water quality. As expected the LibDem and Green manifestos are strong on the need for greater environmental protection with commitments to reduce water abstractions through wider water metering and construction of new reservoirs. However, neither party has anything to say about angling and has not yet responded to the Angling Trust's manifesto. UKIP has the most comprehensive manifesto section on fishing of all the political parties but is exclusively focussed on the marine environment with strong support for continued exploitation of sea fish stocks by the UK commercial sector. They support measures to conserve bass stocks but oppose the three fish bag limit on recreational sea anglers. UKIP have acknowledged, but are yet to respond formally to the Manifesto for Angling.